Should Your Dog Wear A Harness? Harnesses can be a far better option for dogs than the traditional collar and leash. Dogs that pull risk trachea, neck and spinal injury if led by their collars, especially if their behaviour continues over many years. Puppies are also particularly at risk as they are still developing when they are first introduced to walking on the leash. They can easily surge forwards and choke themselves, doing lasting damage to soft tissues, cartilage and vertebrae. By distributing pressure evenly over the body, harnesses prevent such injuries from occurring. Harnesses are also considered an excellent option for ‘Houdini’ pets who are prone to slipping out of their collars when out and about. A properly fitted harness is difficult to escape, meaning such dogs are far more likely to be kept under control and out of danger. 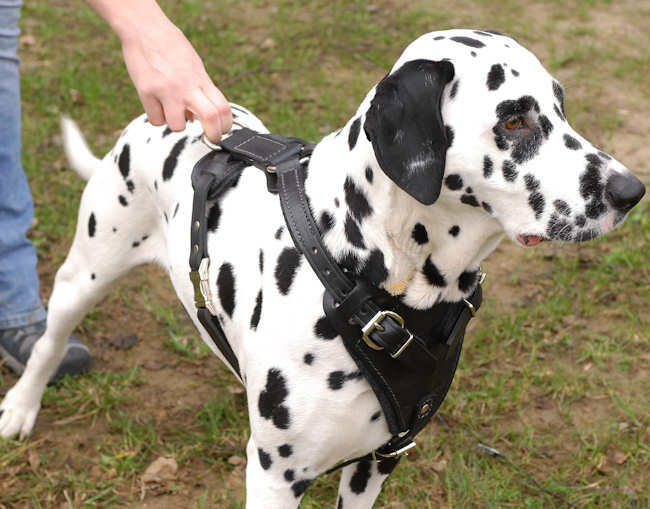 Some owners with larger dogs avoid harnesses because they're concerned it will give their dog a greater capacity to drag them around the neighbourhood. This can be the case with more simplistic designs, however innovative no-pull harnesses such as the Easy Walk Harness, are available which discourage pulling whilst keeping dogs’ necks safe. Note that it is recommended that dogs wear a collar as well as a harness purely for identification purposes. A dog that is accidentally let out of its yard or otherwise lost can usually be more quickly returned to its owners when wearing a collar and tag bearing their address and phone number.